How is an elevator programmed? And is lime tr(ain)ee a citrus fruit? If the thought of how to transport 15 people in 60 seconds has ever kept you up at night, this is an event for you! 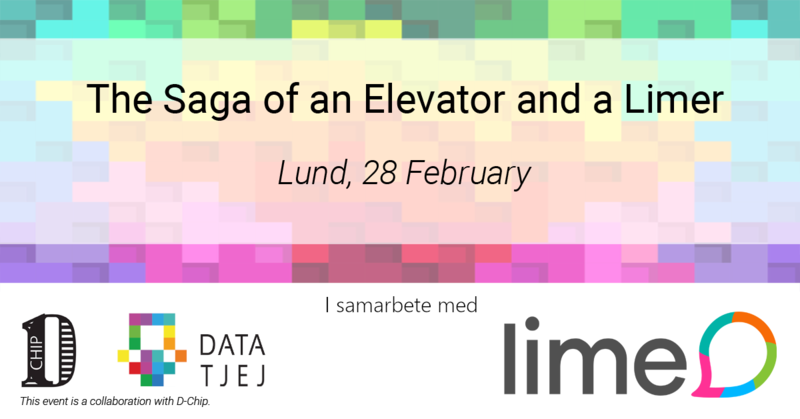 Come and visit our Lime office in Lund on the 28th of February for some fun coding, exciting games, yummy food and chill drinks. During the evening, we´ll also tell you a bit about our awesome graduate trainee program and what it’s like to work at Lime. Does it sound fun? We hope so! Because we really want to meet girls, women and non-binary who share our interest for coding, and tech in general, and have a twinkle in the eye. We create customer magnets with help of easy-to-use CRM solutions that we develop, consult and support ourselves. Today we are over 220 colleagues and one of the largest CRM suppliers in the Nordic countries with offices in Lund, Gothenburg, Stockholm, Helsinki, Oslo and Copenhagen. We are extremely passionate, and we usually say that the only thing we take seriously is our customers. Still interested? Great! DataTjej is a non-profit organization that strives to support women and non-binary of all ages interested in IT and data. We aim to improve the relationship between students and businesses, and between our members. Throughout the year we organize events such as inspiring lectures and business events. DataTjej is mostly known for its yearly conference where companies and members get the opportunity to network.